The Executive Committee is made up of representatives elected by member Governing Bodies in the three Local Authority areas. Members serve for a term of three years, with a rolling programme of elections. Three longstanding executive members have recently retired - Christine Storey, Maggi Harris and Vikki Harry. We wish them all the best for the future - they will be much missed! The LASGB Executive Committee meets twice each term with the LA Governor Services Officers together with any other officer who has asked, or been invited, to consult with the LASGB. This exchange of information and views on documents and initiatives produced by the DfE, the LA and other bodies is valuable both to the Association and the LA. It enables the views of Governors to be made known to the LA and other bodies which are involved in education and provides feedback to the LA from Governors. Through the Consultative Committee the LASGB has the same consultation rights with the LA as the teachers’ professional associations, trades unions, diocesan authorities and others. I joined the Governing Body at Ellel St John’s Primary School in May 2001, and was the Chairman from 2002 to 2009. I am also a member of the Governing Body of St Wilfrid’s Church of England Primary School at Melling in the Lune Valley. I have been a member of the Lancashire Schools Forum since it started in January 2003. In June 2005, I was elected Forum Vice Chairman. I have also been the Chair of a number of the Forum sub-committees. Currently I am a member of the Early Years Group, High Needs Block and the Budget and Finance sub-committee. I have been a member of the LASGB Executive since February 2010. I am presently the Treasurer of the LASGB and I also edit the newsletter. Educated at Hodgson, Blackpool and the Fylde College and University of Stirling. I graduate in Computer Science with Economics. I have worked for Twenty-nine years in the computer industry, working for local and national government. I have been a governor since 1997. I served two four year terms as a parent governor at Baines Endowed Primary School. I was elected Vice-chairman at the first meeting I attended and continued for the full eight years. I have been a governor at Hodgson for eleven years, two years overlap with Baines. I have served in various rolls including IT governor, committee chair and I am now chair of governors. I have been a member of the Lancashire Association of School Governing Bodies for over ten years and I am currently vice-chair. I chair the Lancashire Academies’ Forum and I am a member of the Lancashire Schools’ Forum representing Academies. I regularly attend NGA conferences representing Lancashire schools. As chair of Hodgson academy, I am a director, and currently chair, of Fylde Coast Academy Trust and Fylde Coast Teaching School. I work with young people in a number of roles outside governance. I am a cub leader running a pack of twenty-five boys and girls aged 8 – 10½. I coach chess at Hodgson and run a large children’s chess congress for around one hundred and fifty young people aged 5 to 18 as part of the Delancey UK Chess Challenge. I have serve as a local councillor on Wyre Borough from 2007 to 2011. I do enjoy my activities and to date there are not many meetings I have missed on all committees. After many years of avoiding the responsibility and feeling guilty about doing so, I finally joined the Governing Body at Morecambe Community High, where I used to teach Science, in 2009 - though I regularly attended for brief spells as one of the school Health and Safety Reps. I did also become a Link Governor for Governor Training, but now keep an eye on the school website to check compliance and suggest improvements. I try to remember to keep my different hats with me so that when I need to as, until recently, Trades’ Council President, local district NUT Secretary or, now, also as Lancashire Joint Division Secretary, I can swiftly swap over to the appropriate headgear! However, as a consequence, I have been into many schools across the whole of Lancashire - primary, secondary and special, and have spoken with many hundreds of the teachers at the white-board-face who are responsible for teaching the thousands of pupils in our schools and I have participated in many of the county groups that have responsibility for managing Education in Lancashire. I hope that this knowledge and experience is useful to the LASGB Committee, along with my IT skills which have been dragooned into use to maintain the LASGB website. Kathleen is a governor at Bishop Rawsthorne C of E Language College, where she taught. She is also a governor at SS Peter & Paul Catholic Primary School and Chairman of the management Committee of the Acorn Centre, a Short Stay School. Kathleen is a founder member of the LASGB and has represented Area D since its formation. She represents the Association on SACRE (Standing Committee on Religious Education), the Partnership Development Group the Admission Forum South, the Lancashire Schools Forum and the Performance and Appraisal Steering Group. Kathleen is a farmer and retired teacher and is interested in enhancing the educational opportunities for all young people to enable them to become responsible and active members of society. 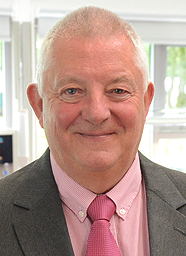 Bill is the Chair of Governors at Hope High School, in Skelmersdale and a Governor at The Rose School in Burnley. Both are B.S.E.D. Schools for Secondary pupils. He is the Special School Governor representative on the School's Forum. He is a retired Lancashire Police Officer who towards the end of his service was a Training Officer, then had responsibility for Community Affairs in the West Lancashire and Chorley areas. He is currently the Chair of the LASGB He is a Trustee of the Crisis Centre in Skelmersdale that provides training and accommodation for 16 to 24 year olds in the West Lancashire Area. He has a particular interest in supporting young people with learning difficulties. 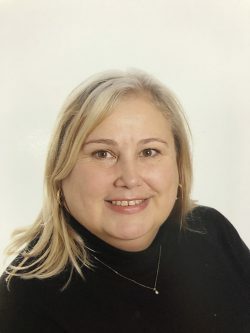 Dianne is Chair of Governors at Moorbrook High School, Fulwood, and Elm Tree Community Primary School at Skelmersdale. All are schools which cater for children and young people who are statemented with B.S.E.D. She represents Preston on the LASGB. Dianne is a retired lecturer in F.E., sits as chair of the Board of Trustees for a Charity which provides supported accommodation for homeless young people, and also represents LASGB on the Safeguarding Board (locality) for south Lancashire. Having spent her entire professional life working in the area of abused, disaffected and vulnerable children and young people she has an abiding interest in working towards ensuring all children and young people can feel safe, secure, and enabled. I am a Co-Opted & a nominated Link Governor at Eldon Primary School Preston, since joining from SGOSS in 2012. Previously till September 2017 I held the post of Vice Chair for a few years at Eldon & was part of 'Team Eldon' who recently achieved Outstanding from OFSTED, amongst many other awards. I have worked for BT since leaving college in 1978 - my current role for the last 15 years as a Senior International Commercial manager involved in global IT Sales Propositions, working with both BT’s internal & external stakeholders, managing a customer base of 800 companies and training internally people on systems & process. I decided to become a Governor for personal development & wanted to be involved in education as my grandchildren are now at school. Recently joined the LASGB Executive Committee to continue in my personal development of the varying aspects of Governorship & hopefully can apply the skills gained from my varying roles. David is a Haslingden High School and Sixth Form governor. An ex military man, his career spanned four decades with the Corps of Royal Engineers and the Adjutant General's Corps. He is married with one son and three grandchildren Now retired, he sits as a Justice of the Peace on the Burnley, Pendle, & Rossendale Bench and is a member of the Independent Monitoring Board at HMP Buckley Hall, a working prison for adult male offenders. John is Chair of Governors at Haslingden High School one of the largest secondary schools in the County. He has been a Governor there for 24 years and is Chair of the Finance/Personnel Committee. He is a retired local government officer having been an Environmental Health officer. He is also a magistrate and District Commissioner for Rossendale Scouts. John is married with 2 grown-up children. 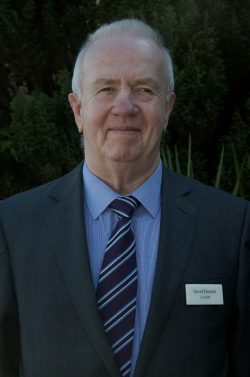 Ian, though currently not a Governor, has been a Governor at Holy Trinity CE Primary School (where both his sons attended) in Burnley for 14 years, starting as a parent governor and taking up the role of Chair in 2006. He has also served as the link governor and a period as vice chair, and also a foundation governor to allow another parent to join the governing body. Whilst a governor Ian has worked proactively with the School management team in analysing the immense amount of data we are presented with as governors. In addition to this Ian has also played an active role in two major building projects at Holy Trinity and has recently developed their new website. After leaving school in 1980 he worked in engineering and banking before a career change into education in 2002. Ian works as an Management Information Systems manager at Burnley College and plays an active part in ensuring success for all students. Ian has also worked at Burnley Football Club as stadium PA Announcer on match days since 1991. Ian's technical, IT and design skills are useful to the LASGB, as is his access to reprographics services, so he was co-opted on to the LASGB Committee in 2013 for one year, which has been reviewed annually since this date.